Malta’s rapid urbanization following Independence in 1964 has seen villages developing into towns, other towns expanding enough to touch neighbouring ones, new roads and infrastructure added. Maltese who previously migrated overseas to the UK, Australia, the US and Canada, in the main reversed the tendency from the 70’s onwards and this called for further demand for housing – normally in newly developed areas. 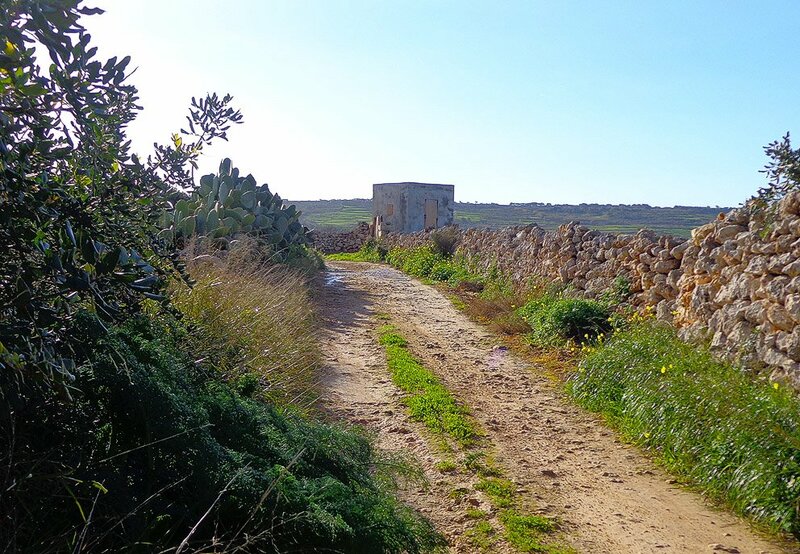 Rural communities – though still strong in Gozo – are a rare feature in Malta. Such communities are mostly restricted to the west of Rabat – one can mention Kuncizzjoni, Mtahleb and L-Andrijiet as prime examples of this seemingly dying habitat. Away from Rabat there’s another lovely rural community not too far from Mosta that goes by the name of Bidnija. Bidnija is reached by a lovely rural road forking off the main road which from Mosta leads to Burmarrad and the North. Bidnija is all of one street long with an added chapel and a utilities store. Its tiny population is made up mostly of farmers with an added clutch of well-heeled recent residents who obviously appreciate the quiet surroundings. And it is this hamlet’s surroundings that make Bidnija so special. 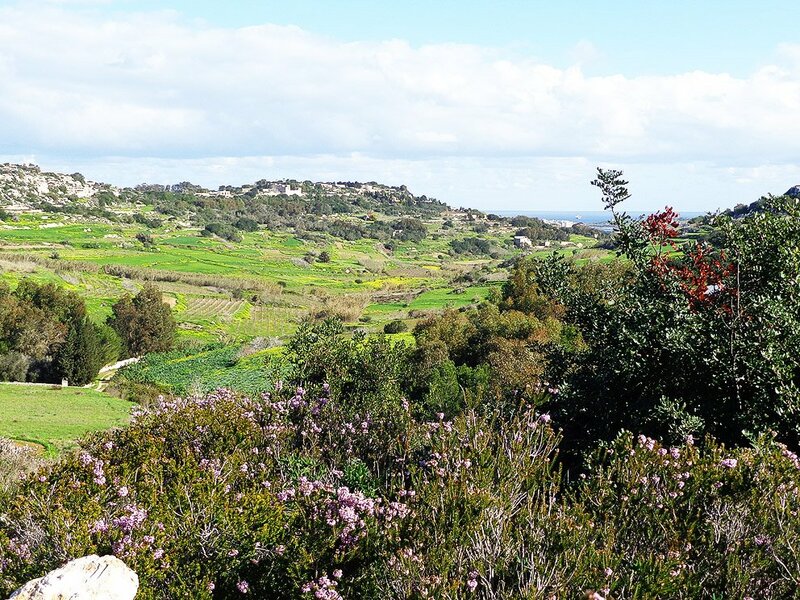 The road that gets to Bidnija itself is crossed by one of Malta’s loveliest valleys Wied Rihana, a valley replete with water catchment reservoirs looking like tiny lakes in the wet season. From Bidnija itself there’s a wealth of country roads one can wander in. One (signposted) leads to a shooting range which is mercifully silent during most weekdays and overlooks the other major valley in the area – Wied Qannotta – arguably an even more beautiful valley than Rihana. A few paths go down into this steep sided valley which exits into the village of Burmarrad close to Saint Paul’s Bay. 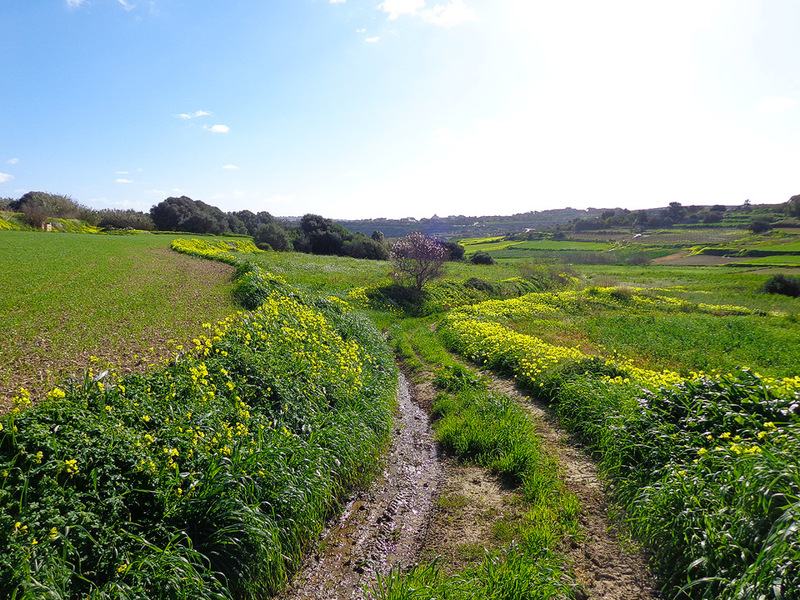 Triq il-Milord – Bidnija’s ‘main street’ leads to a headland overlooking the Burmarrad plain – from here there are other country paths leading down to the Burmarrad Road – and another path leads back to Bidnija by the minor valley of Wied l-Arkata. Hard to spot along the upper reaches of this valley but worth a look if you can enquire for directions is an ancient olive grove made up of a score of trees all of two thousand years old. 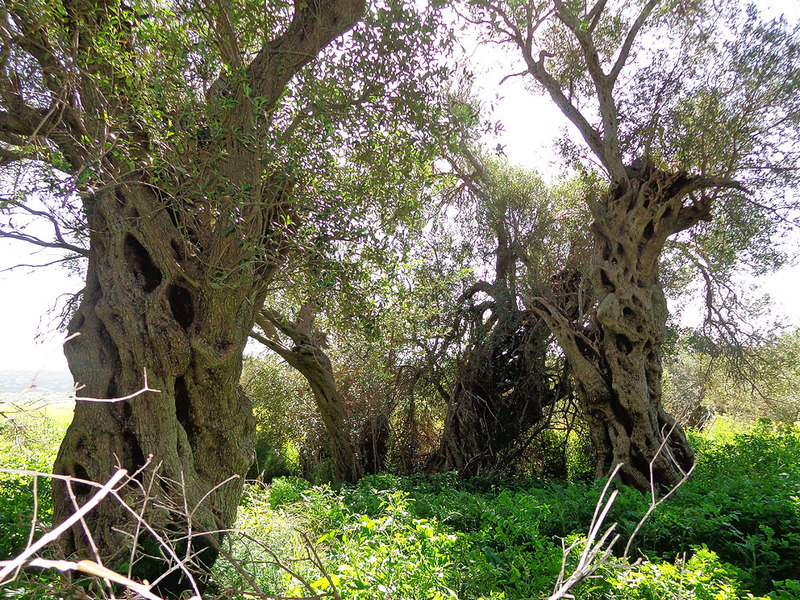 These are Malta’s oldest existing trees and the small grove has quite the bit of magic about it. Surprisingly the trees produce olives up to this day. Bidnija is an off-beat sort of place so don’t expect tourist amenities bar one exception. There is a small horse-riding school in the area, and if you are a rider this is one of the best places to practice the activity in. Only one hourly bus operates to Bidnija proper – but frequent buses pass Targa Gap outside Mosta from where it is a 1km walk to the village via the picturesque road mentioned previously. Next time I’m in Malta will make certain to locate this village. somewhere I haven’t visited. I have explored Mailta many times and never heard of this area. To see some much green must be refreshing.